For use with SRAM 8-speed chains only. ProsConvenience on the road as tool-less. Shimano’s 9-speed chain for ebikes with hub gears is a ‘reinforced’ spec. Basically it’s a posh and expensive 9-speed with 8-speed chain dimensions (thicker outer plates). The internal roller dimensions are identical between 8 & 9 speed. So, as I hate the inconvenience of Shimano’s special link-pin, the obvious thing to do is use this SRAM 8-speed splittable link instead. 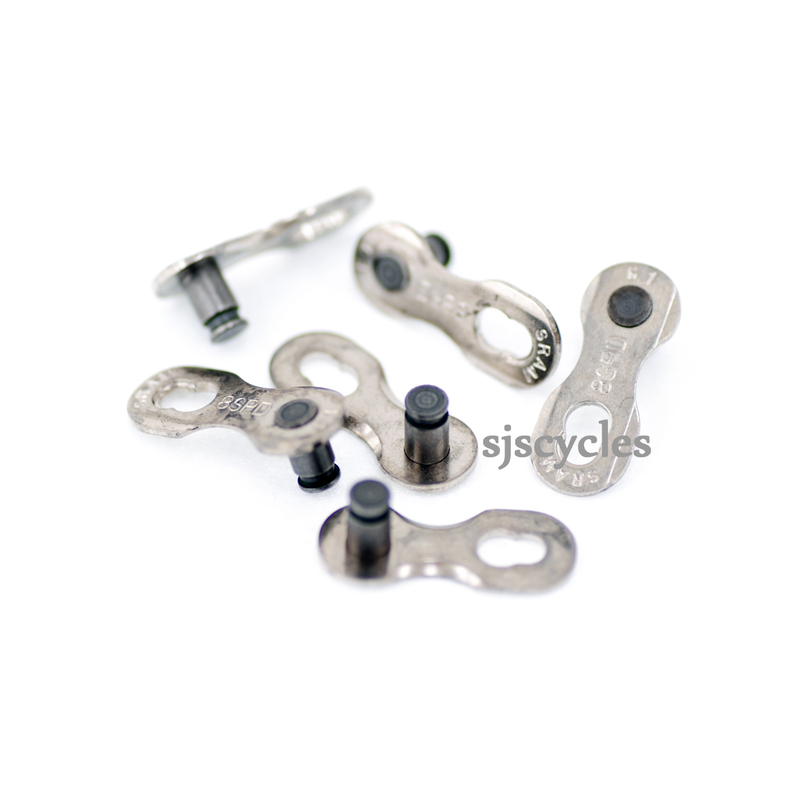 You’ll find the chain (CN-E6070-9) and the SRAM link plates are both 6.6mm wide. Prosreliable. easy to use. last long. during the last 2 years opened and closed it several times without any problems. still fits well. You have to bend the chain a little, to open the link. Or use a Leatherman to squeeze the links a little together to open them. They seem to be very reliable. using them on my Nomad Mk II S&S, so for travel I take off the chain.